Welcome to another edition of “Your Best Weekend.” Enjoy these ideas and recommendations to help you make the most of your Saturday and Sunday. We are all busy but we need to make time to enjoy life! Saturday, December 8th is National Brownie Day! These brownies sound delicious, but boxed mix works well too! On Sunday, December 9th, celebrate Christmas Card Day by getting your cards written, addressed, stamped and ready to mail! It’s also National Pastry Day, so pick up some cannolis, croissants or cream puffs to enjoy while you work on those cards! Journal prompt/reflection: What are three great things that happened today? Challenge: Clean out and declutter. Make room for new gifts or just enjoy having more space and less clutter. DVD: Some movies out on DVD this week include Mission Impossible: Fall Out (action/adventure), The Happytime Murders (action/comedy), The Nun (horror), McQueen (documentary/biography), Beautifully Broken (drama), The Miseducation of Cameron Post (drama/romance). Netflix: Show and movies that have started streaming on Netflix this week include Dumplin’, based on the book by Julie Murphy, and stars Jennifer Aniston, Mowgli: Legend of the Jungle and Nailed It! Holiday. Books: New books published this week include Queen of Air and Darkness by Cassandra Clare (YA Fantasy/series), Danielle Walker’s Eat What You Love by Danielle Walker (non-fiction/cookbook), Of Blood and Bone by Nora Roberts (fantasy/series), Super Smash Bros. Ultimate: Official Collector’s Edition Guide (non-fiction/gaming guide), Once Upon a River by Diane Setterfield (historical fiction), You Are a Badass: Every Day by Jen Sincero (non-fiction/self-help) and Never Grow Up by Jackie Chan (biography/memoir). Dinner Conversation Starter: What is one gift that you really want this Christmas? Family Fun Idea: Build gingerbread houses. You can work in teams and make it competitive or everyone can decorate their own. You can buy all the ingredients (graham crackers, icing, candy etc.) or purchase a boxed kit. You can make a train or even an entire village! Either way, it will be a fun way to spend some quality time together. Listen to: Homecoming. This podcast stars Catherine Keener, Oscar Isaac and David Schwimmer. My husband and I binge listened to almost the entire podcast (two seasons) on our ride to Maryland for Thanksgiving. This is the podcast that inspired the Amazon Prime series that is now streaming, though I recommend listening or at least starting the podcast first. Read: The White Christmas Inn by Colleen Wright. I try to read some holiday-themed reads in December and this was a feel-good but not overly sappy Christmas book. Cook: This Sausage and Broccoli Rabe pizza. I made it for our supper club pizza-themed dinner and my daughter’s already been asking me to make it again. Saturday, November 17, celebrate Homemade Bread Day by making a loaf. If you’re feeling brave, try a new bread. These rolls look so good! Otherwise, you can always go with a quick bread, like this seasonally appropriate Chocolate Chip Pumpkin Bread. November 17 is also Take a Hike Day! There’s still some fall foliage left. Get out on the trails for some outdoor family fun! If you’re local, we like Rockefeller State Park. Journal Prompt/Reflection: What do you want people to remember about you? Challenge: Binge watch a show you’ve been wanting to see or re-watch an old favorite! Some shows that I’d like to binge watch include The Office, Mad Men, Narcos……yeah, haven’t seen any of these. DVD – Out on DVD this week is The Meg, Mile 22 and Alpha. Other movies that are out on DVD that aren’t as well-known but look good and have gotten decent ratings include Juliet, Naked and Puzzle. Books – New books published this week include Becoming by Michelle Obama (memoir), It’s Not Supposed to Be This Way by Lysa TerKeurst (spiritual), Look Alive Twenty-Five by Janet Evanovich (series/mystery), Long Road to Mercy by David Baldacci (Thriller/Fiction), P is for Pterodactyl: The Worst Alphabet Book Ever by Raj Haldar (children’s book/humor), Goodnight Trump: A Parody by Erich Origen (humor/politics), and Queer Eye: Love Yourself, Love Your Life by Antonio Porowski (self help). Dinner Conversation Starter: What is one thing that you own that you can’t live without? Family Fun Idea: Run a 5K together. Date Night Idea: Go to a Comedy Club. Sit back, relax and have some laughs. Watch – Ocean’s 8. This was the first movie of the whole Ocean’s series that I watched. The all-female cast had me intrigued. We watched this as a family and we all enjoyed it. Cook – Half Baked Harvest’s 30 Minute Butter Chicken Meatballs. If you like Indian Chicken Masala, you will likely enjoy these meatballs. I made them for dinner this week and served them with rice, naan and broccoli. Read – Around this time of year I like to start reading Christmas-themed books. Expect some holiday book recommendations over the next couple of weeks! The first one is The Christmas Cookie Club. Twelve women get together in early December to share cookies and stories. This book was published in 2009 and I read it in 2012. Even though this book has gotten mixed reviews, I remember really enjoying it. Plus, it comes with cookie recipes! 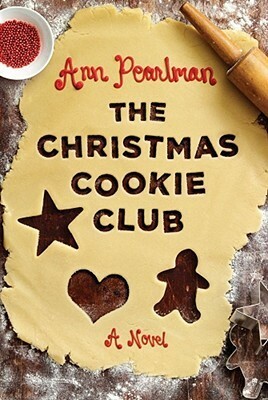 It’s not a sappy read, like many holiday books are, but more holiday-themed chick lit. After a short hiatus, “Your Best Weekend” is back for another appearance! Enjoy these ideas and recommendations to help you make the most of your Saturday and Sunday. We are all busy but we need to make time to enjoy life! Veteran’s Day is Sunday, November 11. Please take some time to remember all of the brave men and women who protect our country. Journal Prompt/Reflection: What is one book that you’d like to read before the end of 2018? Challenge: Start a compliments list. Write down the positive things that people say about you. When you’re feeling down, look at your list for a little mood booster. DVD – This week Incredibles 2 and Christopher Robin come out on DVD. Both of these movies look like perfect family movie night picks. Amazon Prime – Homecoming, a new Prime original series, debuted November 2. This psychological thriller, starring Julia Roberts, is getting a lot of press. It may be worth checking out this weekend. Books – Books published this week include Homebody: A Guide to Creating Spaces You Never Want to Leave by Joanna Gaines (non-fiction/lifestyle), Past Tense: a Jack Reacher Novel by Lee Child (fiction, thriller), Nine Perfect Strangers by Liane Moriarty (fiction), The Universe Has Your Back Journal by Gabrielle Bernstein (Self-Help/Spirituality), Archenemies by Marissa Meyer (series/Teen Sci-Fi), The Noel Stranger by Richard Paul Evans (Holiday), Juno Valentine and the Magical Shoes (Children’s Book), The Colors of All the Cattle by Alexander McCall Smith (series/Mystery), You Don’t Own Me by Mary Higgins Clark (mystery). And for fans of Jeff Kinney’s Diary of a Wimpy Kid series, #13 The Meltdown was published last week. Dinner Conversation Starter: What was the hardest thing that you’ve ever done? Family Fun Idea: Get a head start on the holiday wish lists. The holiday toy fliers are already out. Have kids circle what they want or head to the stores and have them take pictures or write down some wish list ideas. You can get a head start on the holiday shopping and maybe take advantage of some Black Friday deals. Eat: In season. Check out this site to see what produce is in season where you live. I am all about the brussels sprouts! To-Do: If you haven’t already, get your flu shot! Flu season tends to begin in December and can last through April. It’s time for another edition of “Your Best Weekend” – ideas and recommendations to help you make the most of your Saturday and Sunday. We are all busy but we need to make time to enjoy life! After this week, “Your Best Weekend” will be on a hiatus. I love curating this weekly post, but it takes a lot of time. With working full-time, doing the whole parenting thing and trying to write my other posts, I don’t have enough time to get this post written every week as well. Sunday October 14 is National Dessert Day! Oh all the possibilities on celebrating this day. Are you going to go out and have a treat or stay in and make something? Journal Prompt/Reflection: What would your younger self be proud of you for today? Challenge: Get a manicure. If you don’t want to/can’t spend the money, paint your nails instead. DVD: Out on DVD this week is Hotel Transylvania 3 for a family movie night. For a date night or solo movie watching night, Eighth Grade is on my list. In Theaters: First Man, which looks at the life of Neil Armstrong comes out tomorrow. For families, Goosebumps 2: Haunted Halloween come out Friday as well. Rated PG, fans of R.L. Stine’s Goosebumps series will likely enjoy this movie. Books: New books published this week include: Dare to Lead by Brene Brown (nonfiction/leadership), The Next Person You Meet in Heaven by Mitch Albom (Fiction, sequel), Skinnytaste: One and Done by Gina Homolkoa (cookbook), Elbow Grease by John Cena (children’s book), Dear Evan Hansen by Val Emmich (YA/contemporary fiction), Quiet by Tomie dePaola (children’s book), The Clockmaker’s Daughter by Kate Morton (historical fiction, mystery) and Holy Ghost by John Sanford (series, mystery). Dinner Conversation Starter: What are three words you would use to describe yourself? Family Fun Idea: Go for a walk in a park or nearby woods. Collect fall leaves in different shades, acorns and/or pine cones and then have a fall craft day. Check out some of these fall leaf and pine cone craft ideas. Watch: The movie Tully. Marlo (Charlize Theron), is a mom of three, including a newborn. Her brother pays for a night nanny for her. Enter Tully, the young nanny who Marlo forms a special bond with. The script was written by Diablo Cody, who also wrote Juno and Young Adult. 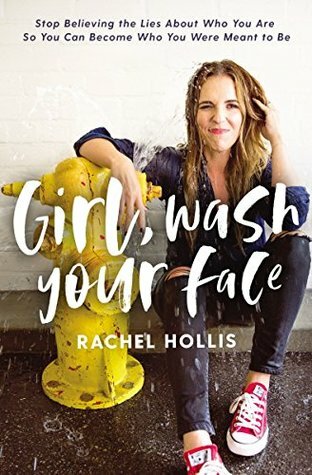 Read: Girl, Wash Your Face by Rachel Hollis. I have become a big Rachel Hollis fan. I didn’t realize until reading this book that she had written Party Girl, a fiction book. Girl, Wash Your Face is a non-fiction book, where Hollis examines lies that we often tell ourselves that prevent us from living our best life. App: Cozi. I know I’m super late to the Cozi app. My husband is finally getting his first iPhone this week and I’m excited for us to be able to use Cozi to keep us organized. I like that we can assign each family member a color and can sync calendars to the app. And it’s free! I’ve just started using it and am still in the learning stages. But I’m glad to have an electronic organization system in addition to my Happy Planner. Saturday September 29 is National Coffee Day! Enjoy a cup or two of your favorite brew. Did you know Keurig now has a machine that can make cold brew? While we love our Keurig, we’re not fans of the plastic waste. We are looking into getting these reusable filters. September 29 is also National Mocha Day. Family Fun Idea/Date Idea: Bake some Mocha Snickerdoodles or Mocha Chocolate Chip Banana Muffins! Families can celebrate Nickelodeon’s Worldwide Day of Play on September 29 too. This is a day to encourage families to turn off the television and get outside and play together. Head to your local park, take a hike or find something else fun to do outdoors this Saturday! Celebrate National Mulled Cider Day on September 30. Fall weather is perfect for this hot drink. You can even use this recipe to make it in your slow cooker! Journal Prompt/Reflection: What are some things that you’ve done that you never thought you could do? Challenge: Take a digital detox. Unplug. Maybe start with a day. Or if you really want to go big, try a whole week. DVD: Out on DVD this week is Solo: A Star Wars Story which looks like a great movie for a family movie night, especially for Star Wars fans. Netflix: Two family-friendly movies are out this week on Netflix – Disney’s A Wrinkle In Time and Disney’s Pirates of the Caribbean: The Curse of the Black Pearl. Dinner Conversation Starter: What was something nice that you did for someone else today? Family Fun Idea: Attend a local football game. High School football has started. If you live near a college, try seeing a college game. And if you are really into football, try checking out a NFL game. Watch: This Is Us. The new season began this week. It’s off to a a great start and I can’t wait to see what the rest of the season will bring! 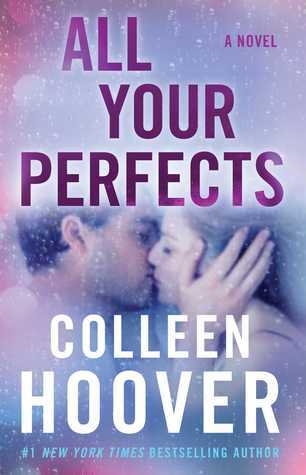 Read: All Your Perfects by Colleen Hoover. Her newest book deals with infertility and the impact it can have on a marriage. This was an emotional but good read. To-Do: Closet Clean out – Fall is officially here. The weather is getting cooler and now is the perfect time to give your closet (and the kids’ closets) a clean out. As you switch over your wardrobe from summer to fall, get rid of the clothes that don’t fit and the ones that you didn’t wear this summer. It’s also a good time to make a list of the fall clothes and shoes that you need to purchase. Plaid and animal prints are hot this fall. And you can never go wrong with jeans, sweaters and boots. September 22 is Hobbit Day, the birthday of the hobbits Bilbo and Frodo Baggins. Celebrate the day by reading the book and/or watching the movie. September 22 is also National Hunting and Fishing Day. Date idea/Family Fun idea: Go fishing! Get a state fishing license and find a local pond or river. September 23 is the first day of fall. Date idea/Family fun idea: Create a fall bucket list. Write down all the things that you’d like to do as a couple or family this season! September 23 is also Checkers Day. Date idea/Family fun idea: Play a game (or two or three) of checkers. Loser buys dinner! For families, have a tournament to see who is the Checker Champion. Winner gets a special treat! Journal Prompt/Reflection: What are three lessons that you’d like your children to learn from you? Challenge: Say no. Unless it’s a “Hell Yes!” and gets you super excited, say no. Don’t overthink it and use this in all areas of your life. DVD: Out on DVD this week is Jurassic World. If you haven’t watched the first four movies, have a marathon and catch up. Also out this week on DVD is Fahrenheit 451. I haven’t read the book, but always recommend reading the book before seeing the movie. Books: Chrissy Teigen’s new cookbook Cravings: Hungry For More is very popular. Reese Witherspoon’s book Whiskey in a Teacup was also released this week. In the Theater: Last week A Simple Favor, starring Anna Kendrick and Blake Lively came out. It’s gotten good reviews and looks like a good date night movie. The House With a Clock In Its Walls comes to theaters tomorrow. This looks like a good family pick. This movie is also based on a book. While I normally recommend reading the book before seeing the movie, I don’t always feel that way for kids’ movies. Sometimes after seeing the movie, children are motivated to read the book. Or use the movie as the motivation. Read the book and then we’ll go see the movie. Dinner Conversation Starter: If you could have a super power, what would it be and why? Family Fun/Date Idea: Go apple picking. Make sure to get some apple cider donuts while you’re at the orchard! Then go home and bake something with all the apples that you’ve picked. Here are some tasty recipe ideas to inspire you! Watch: Worth It on Amazon Prime. This Buzzfeed show follows hosts Steven and Andrew (and cameraman Adam) as they travel around trying different foods at three different price points – cheap, mid-priced and expensive. Then they vote on which was their most “worth it” dish of the three. These are also on YouTube if you don’t get Amazon Prime. This is a bingeable show that my family enjoys watching together. There is such great chemistry between the hosts and it’s a fun watch for any food lovers. Read: As a fan of all things television, books and movies, here is an article about the new fall television shows. Get ready to set your DVR! Eat: Coolhaus Ice Cream – Pictured here is the Dirty Mint Chip which my husband loved. This artisan ice cream company also sells other flavors like Milkshake & Fries, Balsamic Fig and Mascarpone and Campfire S’mores. Yes, I want to try them all! September 16 is not only my birthday, but there are lots of other fun days to celebrate. It’s also Collect Rocks Day. Take a family hike or walk and collect some rocks. It’s also Mexican Independence Day – when Mexico became independent from Spain. Celebrate by going out for some Mexican food or cooking a tasty meal at home. Sunday is also National Play Doh Day. Break out the play doh and have some fun making some creations with the kids. It’s National Women’s Friendship Day! Get your girlfriends and go out! Finally, make sure the husbands know that Sunday is also Wife Appreciation Day! We deserve to be appreciated for all that we do! Journal Prompt/Reflection: What is something you would do if you knew you couldn’t fail? Challenge: Schedule some girl time! Sunday is National Women’s Friendship Day after all. Whether you plan a night out with one friend or a group of gals, celebrate the female friendships in your life. DVD: Ocean’s 8 came out on DVD this week. I haven’t watched any of the others, but I’m loving the female cast of this one. Hearts Beat Loud is a music drama that has gotten pretty good reviews and may be worth checking out. Books: Some new books that were released this week include The Forbidden Door by Dean Koontz (thriller, #4 in Jane Hawk series), Fear: Trump in the White House by Bob Woodward (politics, nonfiction), I Am Neil Armstrong by Brad Meltzer (children’s book, biography), Juror #3 by James Patterson (mystery, thriller), We Fed an Island: The True Story of Rebuilding Puerto Rico, One Meal at a Time by Jose Andres (nonfiction, food and drink, memoir) and Body Positive Power (paperback) by Megan Jayne Crabb (nonfiction, self-help). Dinner Conversation Starter: What is something that you would like to learn? Have a Cookie Wars: Last weekend was filled with chilly and rainy weather. We ended up having Cookie Wars. We chose “seasonal” as the theme. My daughter and I paired up and made Frosted Pumpkin Cookies (pictured on the right). My husband and son teamed up to make Brown Sugar Cookies with Maple Glaze (on the left). We halved the recipes and the boys accidentally over salted their cookies, so we girls won. However, we were all winners in my book because…..cookies! Lots of cookies! See a local band. Many restaurants and bars near us have local bands playing on weekends. Go check out a favorite, or a new-to-you, local band for a fun night out. Song/Music Video: As my youngest started 5th grade last week and both my kids are in middle school now, this song just seems so fitting. 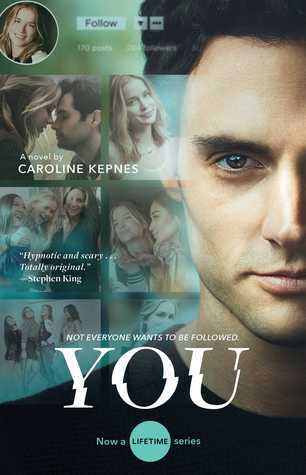 Watch: You on Lifetime. As always, I highly recommend reading the suspense/thriller book by Caroline Kepnes first. 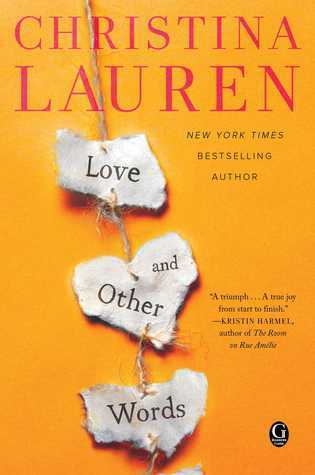 The book turned television series debuted this week on Lifetime. I watched the first episode and I am hooked! 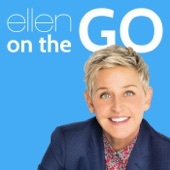 Listen: Ellen on the Go podcast. I love Ellen but since I work, there’s just no way to keep up with watching her show. The Ellen on the Go podcast debuted this week and features four of the shows’ producers discussing highlights from the past week’s show. While it’s not as funny as watching the bits, it is still entertaining. Plus, you get insight from the producers and a peek at the behind the scenes of the show. Make sure to have some fun during the week as well! September 8 is International Literacy Day. Created by the United Nations, this day, “aims to highlight the importance of literacy to individuals, communities and societies.” Be thankful that you are literate and make time to read today. Celebrate Grandparent’s Day on September 9. If the grandparents live close, spend the day together creating memories. If they live farther away, have the kids make a card for their grandparents. Older kids can write the reasons why they love their grandparents and/or a favorite memory they have. Journal Prompt/Reflection: Who inspires you and why? Challenge: Get outside and go for a walk. Take 15 minutes during your lunch break. Get the family together after dinner. Take the dog out and walk solo. Just put on your sneakers and get outside. There are many benefits of walking. While you may not get in 10,000 steps a day, it’s a goal you can work towards and this can help you keep track of those steps. DVD: Did anyone else grow up watching Mr. Rogers’ Neighborhood? The documentary Won’t You Be My Neighbor? was released on DVD this week. Netflix: Netflix just added a bunch of movies including The Breakfast Club, Black Panther, Groundhog Day and Bruce Almighty. Amazon Prime: Lots of movie classics were added this week including Ghostbusters, Jerry Maguire, Robinhood Prince of Thieves and Sleepless in Seattle. Time for a movie marathon?! Family Watching: For families with younger kids, Pete the Cat (season 1) is on Amazon Prime. Elementary-aged kids might enjoy Hotel for Dogs, also on Amazon Prime. Netflix has The Ant Bully, Lilo & Stitch and The Emperor’s New Groove. Books for Kids: Many children’s books have recently been published. For toddlers who need board books, But Not the Armadillo by Sandra Boynton went on sale this week. Boynton was a family favorite when my kids were younger. For elementary readers The Day You Begin by Jacqueline Woodson offers encouragement to kids who feel different from their peers. Did you read The Babysitter’s Club when you were younger? Somehow, my daughter never got into the series. But they have made the series into a graphic novel and book number six Kristy’s Big Day was recently released. Visit a local brewery – Craft breweries have become very popular. There are many breweries within a short driving distance from us. My husband and I have enjoyed visiting several of them, sampling beer flights and enjoying some adult time! Dinner Conversation Starter: What is the best thing about being your age? Go Geocaching – Geocaching is like an outdoor scavenger hunt. You get some physical exercise while also looking for “prizes.” Read our Quickstart Guide to Geocaching Using the app and then read what we keep in our geocaching bag. Recipe: I just made these Sheet Pan Shrimp Fajitas for dinner last night. This is a quick, easy and tasty recipe. I used Penzeys Fajita Seasoning, not the taco seasoning the recipe requested. This is a perfect dinner now that school has started and weeknights are busy! Song: I was watching Bachelor in Paradise and heard this song during the Samsung Galaxy 9 commercial. I then had to find out who sings it since I loved it so much! It’s LSD’s Thunderclouds featuring Sia, Diplo and Labrinth and I’ve been playing it nonstop. Meal Plan: School has started which means busy schedules are back. If you do not meal plan, I highly recommend that you start! It helps answer the question of what’s for dinner every night and it keeps your grocery bill on budget. You can read about how I create our weekly meal plan and you can also find over 85 weeks of meal plans on the blog! It’s time for another edition of “Your Best Weekend,” ideas and recommendations to help you make the most of your Saturday and Sunday. We are all busy but we need to make time to enjoy life! Sadly, this is officially the last weekend of the summer for us with a three day weekend. Take advantage of the extra day off! September 1 is National Cherry Popover Day. Of course, you can celebrate by making a batch of cherry popovers! Check out these other fun ways to celebrate the day! September 2 is International Bacon Day. There are so many ways to celebrate: Bacon, Egg, Cheese, BLT, Bacon Cheeseburger…..you can have bacon with every meal! My son would totally wear this shirt to celebrate! And who knew they even had a bacon-themed game?! Journal Prompt/Reflection: Reflect on your summer. What were some of your favorite memories? Challenge: Create a playlist of music that makes you happy. DVD: Out this week on DVD of possible interest is Book Club and RBG. Netflix: New episodes of The Great British Baking Show began streaming this week. Books: As a thriller/suspense fan Tear Me Apart and The Waiting Room are going on my to read list. Dinner Conversation Starter: What is your favorite memory from this summer? Family Fun Idea: ICE CREAM!!! Sadly summer is coming to an end. 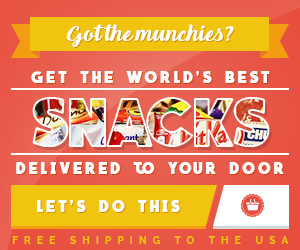 Enjoy the last few days with a sweet treat! You can make homemade ice cream in a bag. If you have an ice cream maker, try making a new flavor. Or just go visit your favorite local ice cream shop! Book Releases: For fans of Dav Pilkey’s Dog Man series, the newest book Lord of the Fleas just came out. Instagram Follow: Mystery and thrillers are my favorite book genre. I recently found @angiesbookshelf on Instagram. She features lots of new thrillers and suspense books with ratings and reviews. I’ve been adding to my to-read list like crazy! Recipe: Do you have an Instant Pot? With school starting again soon, I know we will be using our Instant Pot more. One of the dishes I’ll be making is this Instant Pot 20 Minute Chicken Burrito Bowls. DVD: We watched I Feel Pretty this past week. I didn’t have huge expectations for the movie, but I really enjoyed it! It really sends a positive message to women.